1 YRS Guangdong Yinghai Industrial Technology Co., Ltd.
With the high standard technology,advanced equipment and professional engineer, we establish good cooperation with clients from all over the world, our products has been popular all over the world. 2.Low Price: Our prices are based on real factory prices and we are able toget better prices. Q4: Do you have any certificates about your company or your products9 We have already got the Supplier Assessment,Assessment Reports and other important certificates. Colorful customized plastic wheat straw fiber bowl set factory price Product description Colorful customized plastic wheat straw fiber bowl set factory price Material Wheat Straw MOQ 1000pcs PER ITEM PER DESIGN Safe Temperature Heat restistant -30&#8451;~+120&#8451; OEM service (1)Can do various model; (2)Size, color and printing designs can be custom-made. Feature 1. Tasteless& Non-toxic; 2. Shatter proof; 3. Various designs available; 4. Avoid to use in micro oven; 5. Recommed hand wash, disinfection with ozone, dishwasher safe for top rack only Testing charge 1. 1100 USD For European market; 2. 600 USD For USA FDA testing. Colorful customized plastic wheat straw fiber bowl set factory price Products pictures Related Product Packaging & Shipping Port Shenzhen, shanghai port, China Payment T/T or by irrevocable L/C at sight Sample Lead Time 1. 1-2 days for sample in stock 2. 15 days for new OEM samples Delivery time 30-45 days after order and all product details are confirmed Packing 1. Bulk packing. Q: How long is your delivery time9 A: Generally it is 1-10 days if the goods are in stock. or 15-30 days if the goods are not in stock, it is according to quantity. You can fly to Guangzhou International Air Port, and we will pick you up. 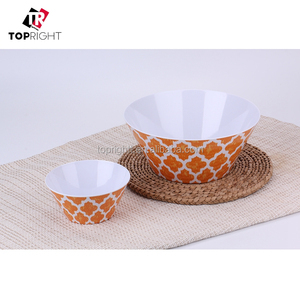 plastic ice cream bowls gift set P/N ZFA-754 Available material PP USE for plastic ice cream bowls gift set Workshop gold blocking,printing,labelling,packing Certificates Can pass FDA inspection made by SGS, TUV. ,Ltd) are located at the shore of East Sea in the south of China, in Taizhou City which is the Kingdom of plastics in China. We are founded in 1993 and recomposed in 2003. We are also the Gold Supplier in the only do we have our own factory in Taizhou,but also our professional sales department is in Hangzhou,so the "Industry and trade integration"is our another feature. 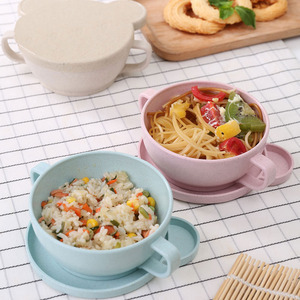 Product infomation Wholesale Melamine plastic ware square soup bowl set with lid All the products can be personalized to the client&rsquo;s exact requirements. Item. *We can do other certification and testing as per your needs In the past 14 years, our products have been sold to them, and we will do our best to provide better products for more client. If you need, we provide other materials and design packaging 1. pc/ppbag,plus inner box and Brown Box 2. Custom packing based on buyer's requirements. 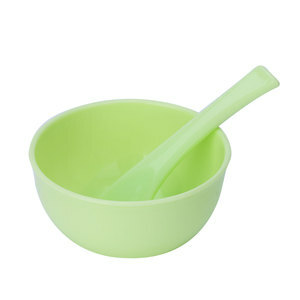 2 YRS Dongguan Babyon Industrial Co., Ltd.
Alibaba.com offers 14,280 plastic bowl set products. About 34% of these are bowls, 2% are storage boxes & bins, and 2% are blister cards. A wide variety of plastic bowl set options are available to you, such as ce / eu, sgs, and fda. You can also choose from eco-friendly, disposable, and stocked. As well as from plastic, metal, and silicone. 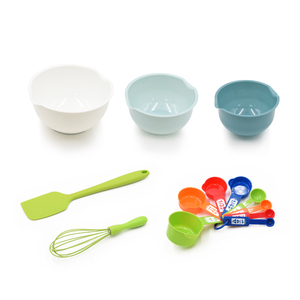 And whether plastic bowl set is pp, melamine, or ps. 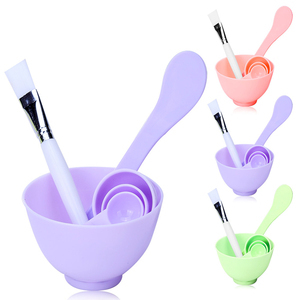 There are 14,280 plastic bowl set suppliers, mainly located in Asia. The top supplying country is China (Mainland), which supply 100% of plastic bowl set respectively. 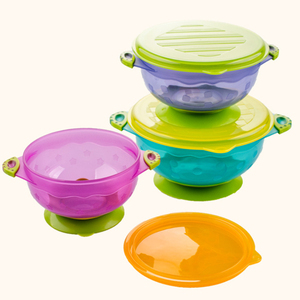 Plastic bowl set products are most popular in North America, Western Europe, and South America. You can ensure product safety by selecting from certified suppliers, including 3,659 with ISO9001, 2,749 with Other, and 1,131 with BSCI certification.